Brands and individuals are investing resources in creating video content to be used in their Facebook strategy. It is but natural that audience who love the video content share it. But it is unpleasant for the creators to see their work shared without any authorization. Facebook introduced Rights Manager, a Video Matching Tool similar to a Content ID of YouTube to protect their rights of content owners. With Facebook Rights Manager, the creators can manage and protect their own, valuable video content that they shared on Facebook. With Rights Manager, the creators can upload and maintain a reference library of the video content they want to protect. Then the Rights Manager tool monitors infringement of the video content across the platform. Creators can also set rules about how the video might use. The dashboard of Rights Manager notifies the publisher about any new match against uploaded reference files of their own. The matching content can be checked by time, view count, date, etc. Facebook Rights Manager also allows the publishers to specify the pages or websites that are allowed to use their protected content so that the tool does not consider it infringement. Facebook Rights Manager was first introduced in 2015 and is announcing updates to keep making the protection process more efficient. Monitor the content that is shared without authorization and monitors the metrics. These metrics help to take action. It helps to share a claim of the money generated by Ad running on the stolen content. Publishers can also restrict the content from being viewable. Protecting the content is the right of every creator. Publishers can use this tool, understand all the updates and control their content and generate more revenue. If anyone posted copied content on Facebook Pages, Facebook Rights Manager automatically detected by backend of Facebook. If rights manager identifies a simple piece of copied content, that executes the four automation sections implemented by Facebook Rights manager. Blocks: Blocks matches the content visibility uploaded on Facebook. Claim and earning: It allows rights owners to claim the share of the money if any generated Ad break runs on the piece of the file that exactly matches to the rights owners content. Claim and earning is still under construction process, may be updated if owner choice updated in future. Monitor: Monitor allows to remain visible content on Facebook. The rights manager has a choice to view the video metrics and can take action in different ways later. Manually Review: Facebook allows the rights manager to manually review the matched content and take action later on matched content. When a piece of content meets the matched conditions of Facebook Rights Manager set by the owner, the action should take against on some terms. Content Type: The audio or a video file parts matched and overlapped on the reference file of the owner. Privacy Type: Choose the privacy conditions that match audio or a video file placed as public, private or both. Match Length: Count the amount of time matched file that overlaps the reference file. Publisher Type: Choose and specify the matched content publishing type whether it publishes on page or an in a profile. View Location: View location is where the person viewed the matched video content. 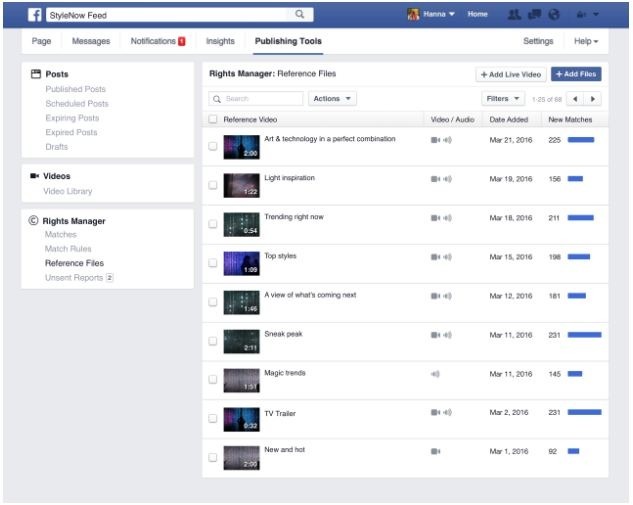 These are the some of the conditions given by Facebook Rights Manager to protect a video content from freebooting. Video creators can choose any of the above-matched conditions and conditions are given by rights manager to reach their business goals. If you would like to claim all the rights manager’s conditions, you must work on the offline page. Facebook encourages all the business people to reach their target and generate revenue on some terms. Facebook has announced rights management tools to manage by a third party user. It must be accessible to the content creators to monitor and control the videos on Social Media. 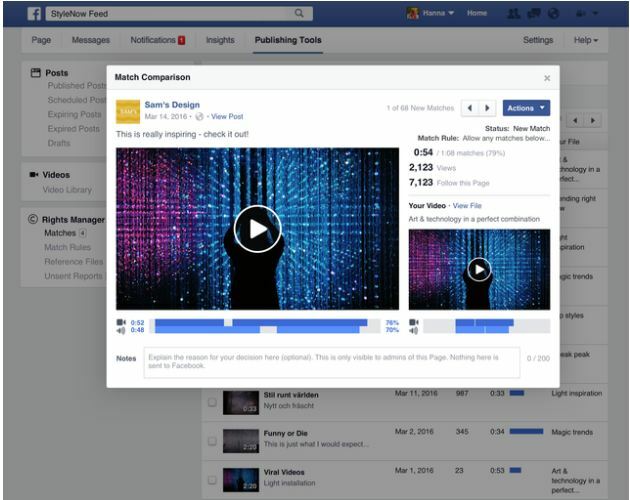 Facebook has given a chance to use the rights Manager tool, or they should create their mechanism to protect the video content and get profit from the ads displayed on it. Facebook is paying 55% of ad revenue to the rights holders, has given a change to generated revenue from pirated video handover to third-party monetization option in mid-roll of ads. 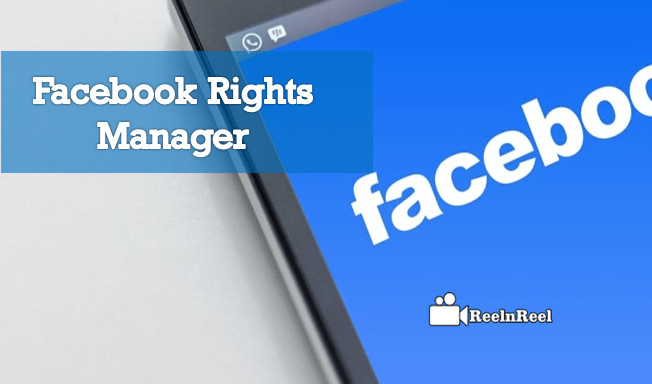 How does Rights Manager help me protect my copyrights on Facebook? How do I input content that I want to manage using Rights Manager? Facebook has launched rights manager tool to generate ad revenue from the pirated video monitoring will be given to third parties. The above is an Ultimate Guide to Facebook Rights Manager Tool and how to protect your video content from freebooting.